Popular online mattress brand Tuft & Needle (T&N) recently debuted a new addition to its product line, one that you can only find on Amazon. The Nod is “smaller but comparable composition” to Tuft & Needle’s original mattress, according to a press release from the brand. The Nod is an all-foam construction made up of two distinct layers. T&N says the top layer is “designed to cradle your pressure points and adapt to you,” while the bottom layer is focused on spinal support. The entire mattress is 8″ in height. The Nod joins Tuft and Needle’s original 10″ T&N Mattress and the brand’s newer model, the 12″ Mint, which offers enhanced cooling and edge support. Tuft & Needle was founded in 2012 by Daehee Park and JT Marino and merged with mattress giant Serta Simmons Bedding earlier this year. Serta Simmons launched its own direct-to-consumer mattress brand, Tomorrow Sleep, in the summer of 2017. Amazon also entered the bed-in-a-box market earlier this year with its own line of mattresses, the low-cost Amazon Basics ($209 for an 8″ Queen) and, more recently, the Amazon Rivet ($499 for a 10″ Queen). Both mattresses are an all-foam construction. 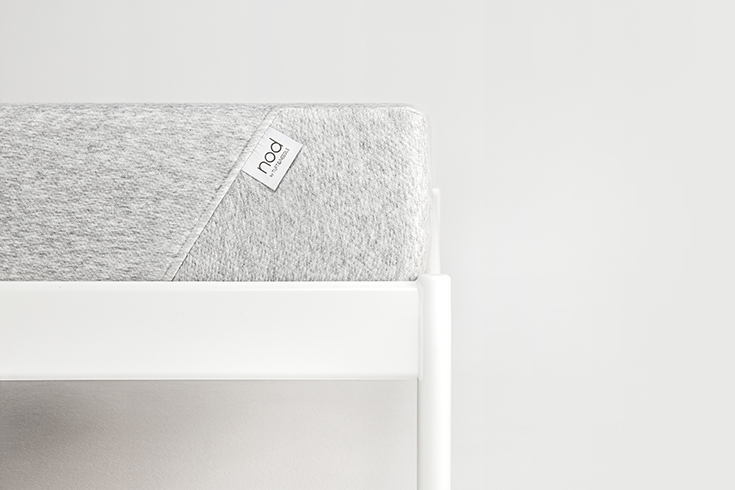 The Nod comes with a 10-year limited warranty and a risk-free, 100-night sleep trial. It is also eligible for Prime shipping.